A little more history was made today as for the first time ever there were simultaneous #Mapathons in Ireland and Lesotho shared by the schools. At the time of writing these mapathons are still underway. 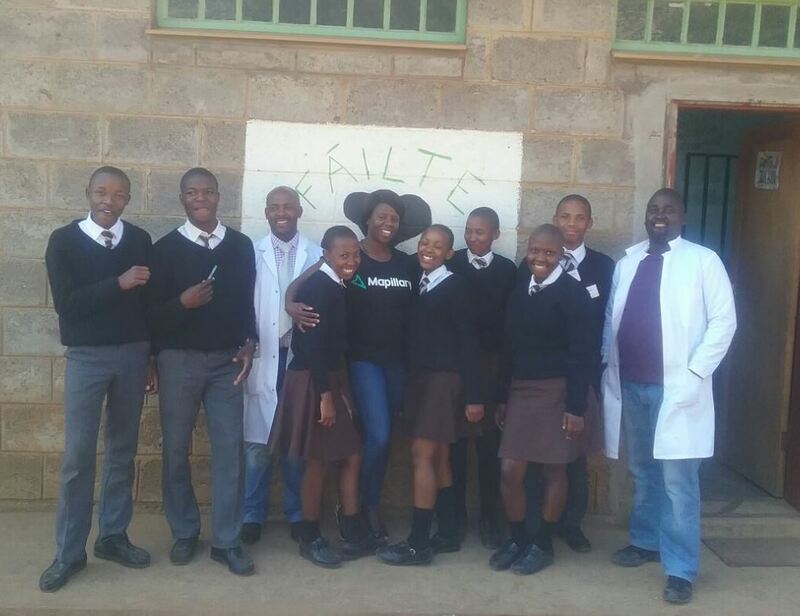 Darragh Bolger and his classmates stormed their computer lab, while at the same time their Basotho colleagues in Ha Hlalele School in Maseru led by Bongiwe Mochokocho stormed into theirs. The friends had all met in Maseru this February and were trained by Lineo, Mahipi, Fifi and Khahliso who are Assistant Physical Planners working under the Ministry for Local Government and Chieftainship. Of course the kids in Portmarnock have a good deal of experience, while the kids in Ha Hlalele are now just getting used to their fantastic new computer lab, built with the assistance of Action Ireland Trust and finished just around the time of the last visit. It is fully stocked with computers and internet access, opening a remote African school up to the globe, and showing that participation in mapping is equal, so long as we bridge the digital divide. The kids in Portmarnock kicked off at 10.00 am Irish time (GMT) and mapped for three hours. Like a relay race Ha Hlalele joined in at 12.00 GMT and are still going as I type this. Of course the #mapathons were not spontaneous, with Lineo and Tshedy arriving to support in Ha Hlalele and Mr. Niall FitzGerald co-ordinating the effort in Portmarnock. During the overlapping handover the grid swelled to have 31 users and the validated total has climbed 2%, just at the time of writing. This could be more of course as the Basotho kids in Ha Hlalele stay back to #MapLesotho. One wonders if in years to come Geography, Geometry and Environmental Sciences are visibly stronger in the career choices of both sets of students, albeit 14,000 miles apart.